October 16, 2010 (KATAKAMI / BBC) — Chile’s President Sebastian Pinera has arrived in the UK ahead of a European tour, as his country basks in the rescue of 33 trapped miners. Mr Pinera brought fragments of rock from the San Jose mine as presents for Prime Minister David Cameron and the Queen. The billionaire president is due to visit Churchill’s War Rooms in London and hold talks with Mr Cameron. The rescue of the miners after 69 days has made headlines worldwide. Thirty-one of the miners have now been released from hospital, with the remaining two being transferred to other hospitals. One is suffering from a dental infection and the second is suffering from vertigo symptoms. Mr Pinera, 60, said Churchill’s “blood, toil, tears and sweat” speech had provided inspiration to him during the battle to save the miners. He also said he ignored political advice to steer clear of the rescue effort. “Many people thought the rescue was impossible and advised me not to get involved, to keep my distance,” he said. Like Mr Cameron, Mr Pinera was only elected this year, and his visit to London is thought to have been planned many months ago. He is thought to be hoping to persuade more British companies, including mining corporations, to invest in Chile. He also told the newspaper he had a “very strong admiration” for Mr Cameron. Mr Pinera flew in to London’s Heathrow Airport and, after sightseeing in London on Sunday, will meet Mr Cameron and have an audience with the Queen, who has extended an invitation at the last minute following the mine rescue. He is visiting France and Germany later this week. October 16, 2010 (KATAKAMI / BBC) — Chile’s President Sebastian Pinera is due to arrive in the UK ahead of European tour, riding on the crest of a wave after the rescue of the 33 miners. Mr Pinera will be bringing fragments of rock from the San Jose mine as presents for Prime Minister David Cameron and the Queen. The billionaire president is due to visit Churchill’s War Rooms in London and have talks with Mr Cameron. One is suffering from a dental infection and the second is suffering from the symptoms of vertigo. He also said he ignored political advice to steer clear of the rescue effort: “Many people thought the rescue was impossible and advised me not to get involved, to keep my distance. Mr Pinera will arrive at London’s Heathrow Airport later and, after sightseeing in London on Sunday, he will meet Mr Cameron and have an audience with the Queen, who has extended an invitation at the last minute following the mine rescue. 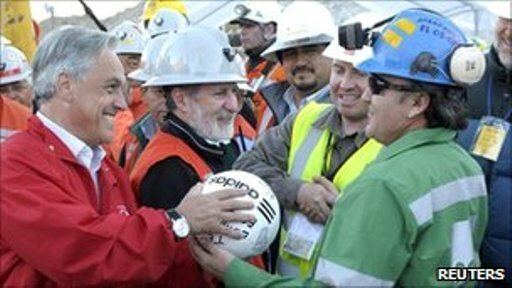 October 16, 2010(KATAKAMI/ SKY NEWS) — Fresh from greeting the 33 rescued miners, Chile’s President Sebastian Pinera flies to the UK today for talks with David Cameron. Mr Pinera told The Times newspaper he is bringing gifts of rock from the mine where the men were trapped for the Prime Minister and the Queen. The 33 workers were all safely rescued from the San Jose mine this week and all but two have since been discharged from hospital. The president, who was elected earlier this year, captured the world’s attention as he stood in a pit helmet ready to greet each man with a hug as they emerged. The 60-year-old leader told The Times he was inspired by Winston Churchill’s phrase of “Blood, toil, tears and sweat” during the desperate wait for the miners’ rescue. However, Mr Pinera’s visit to the UK comes amid news of a worker’s death at a gold mine in Petorca. Benitez Roberto Fernandez, 26, was killed when he was hit by falling rocks. It is the second fatal case in the region in 10 days. Mr Pinera has vowed to improve working conditions across the nation in the wake of the rescue of the San Jose miners. The president arrives at London’s Heathrow Airport on Saturday afternoon and will visit the British Museum and Churchill’s Cabinet War Rooms on Sunday. On Monday he will meet Mr Cameron at Downing Street before having an audience with the Queen at Buckingham Palace. The Harvard-educated businessman-turned-politician told The Times he hoped Chile’s international standing had been boosted by the recent rescue effort. He aslo hoped British entrepreneurs would now invest more in his country. “Chile will now be remembered and recognised not for Pinochet but as an example of unity, leadership, courage, faith and success,” he said. Mr Pinera added he believed God’s help was “absolutely essential” in the successful rescue. He described Chile and the UK as having a “real community of values” and said he hoped to forge a relationship with Mr Cameron, for whom he expressed “a very strong admiration”. Mr Pinera will also give a lecture at the London School of Economics before visiting France and Germany. October 16, 2010 (KATAKAMI / SMH.COM.AU/ AFP) — Chilean President Sebastian Pinera begins a trip on Friday to Britain, France and Germany, as he basks in the glory of the spectacular rescue of 33 miners trapped for more than two months. Pinera travels first to London, where he will meet British Prime Minister David Cameron and stay until Tuesday, an official with the presidency told AFP. He then goes to Paris, where he will stay until Thursday and meet President Nicolas Sarkozy. After that he heads to Berlin, where he will meet German Chancellor Angela Merkel. The trip wraps up on Saturday. No further details of the trip have been released – neither the foreign ministry nor the president’s office have handed out an official travel agenda. Officials however said that any agenda will likely have last-minute changes because Pinera has received so many requests for interviews from foreign media to talk about the miners. 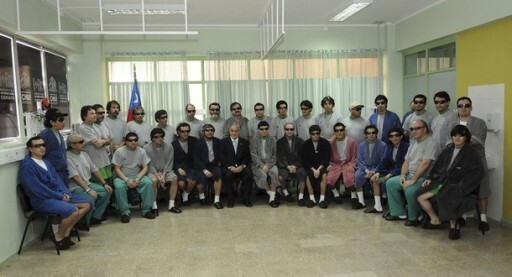 “Undoubtedly,” Chilean Foreign Minister Alfredo Moreno said, the rescue of theminers “will be a much discussed topic”. As gifts, Pinera will be taking bags containing rocks from inside the mine along with copies of the initial hand-written message from the miners telling rescuers that they had survived the accident and were fine, according to the local magazine Que Pasa. A sentence printed on each bag will read: “In your hands are rocks from the depths of the earth and the spirit of 33 Chilean miners,” the magazine said. Pinera linked himself closely to the rescue early in the operation. He travelled to the San Jose mine in far northern Chile, where the men were trapped, six times to oversee operations. He then stayed at the site for 22 hours as the miners were rescued one by one, and hugged the miners as they left their rescue capsule. Later he visited the rescued miners in the hospital. Meanwhile, 31 of the 33 miners were back home on Friday after doctors gave them the all clear to pick up their lives again. Regional health director Paola Neumann said the two remaining miners, who were not named, had been transferred to clinics for more treatment, one for dental surgery, the other suffering from spells of dizziness. The 28 miners were driven discreetly from the hospital in the northern mining town of Copiapo without stopping to speak to a horde of journalists camped outside hoping for interviews. 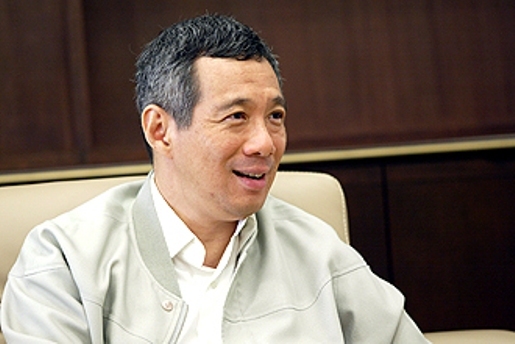 October 15, 2010 (KATAKAMI / THE STRAITSTIMES.COM) — PRIME Minister Mr Lee Hsien Loong has written to Chile President Sebastian Pinera, congratulating him on the successful rescue of 33 miners trapped in a collapsed mine. The miners’ gripping ordeal began on Aug 5 when a mine under Chile’s far northern Atacama desert caved in. The curtains fell on the two-month-long drama on Thursday when the last miner was safely pulled out, sending a world which had been holding its breath into outbursts of joy. PM Lee also congratulated Mr Pinera for his ‘professional execution of an extremely difficult and riskyoperation’. 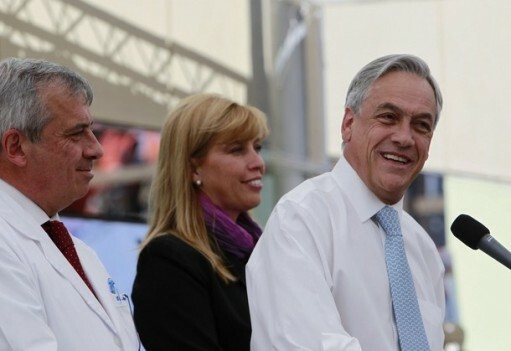 ‘ This success would not have been possible without the Chilean government’s steady leadership and resolve,’ he wrote. ‘Many Singaporeans watching the rescue operations have been impressed by the spirit and resilience of the Chilean people. 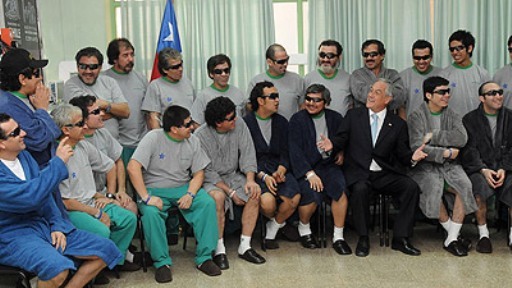 ‘ We share the joy and celebration of the Chilean people, and especially with the families of the rescued miners.